--Citizen Kane-a classic. I was a Communication Studies major (emphasis in broadcasting & film), and this movie was often referred to for its storyline, cinematography and beauty. --Harry Potter and the Prisoner of Azkaban-a modern-day masterpiece. I LOVE all the Harry Potter books & films, but this one is my most favorite. --Aladdin-a work of absolute comedic genius. I love anything Disney, but Robin Williams made this movie so much more than just a cartoon. --The Help-a great story with a lot of dry humor and wit. --Iowa City, IA-Go Hawks! The husband and I met while attending the University of Iowa, and lived there for a few years after we were married. --Okemos, MI-Go Spartans! Okemos is right alongside East Lansing, which is the home of the Spartans. I may be a loyal Hawkeye on game day, but I had a small green and white blood transfusion while living in Michigan. --Boardman, OH-I lived there for four of the longest weeks of my life, trying to be a door-to-door (book) salesman one summer. Great town, but my memories are clouded by the horrible job I had. --Grinnell, IA-yes, another town in the Midwest. Ever heard of Grinnell College? It's a few blocks from my front door. --Cancun, our honeymoon spot. White sand, clear water, hot sun. A beach-lover's paradise. --Washington, D.C., our nation's capital. I wish we could visit this great place more often, it's rich with historical stuff and beautiful monuments. --Disney World, heaven here on earth. I didn't visit Disney World as a child, but we've taken our kids there too many times to count. It's always their vacation destination-of-choice, even as they've gotten older. --Hollywood, CA. My sister and I did a tour of celebrity homes, took a walk on the Walk of Fame, and went to a taping of Two and a Half Men. Total fun, but mucho pricey to live there. --On a beach, with my feet in the ocean water. --In a race, making small talk with fellow racers. --our son graduates from high school in May! So, there you have it! Anything else you'd like to know? 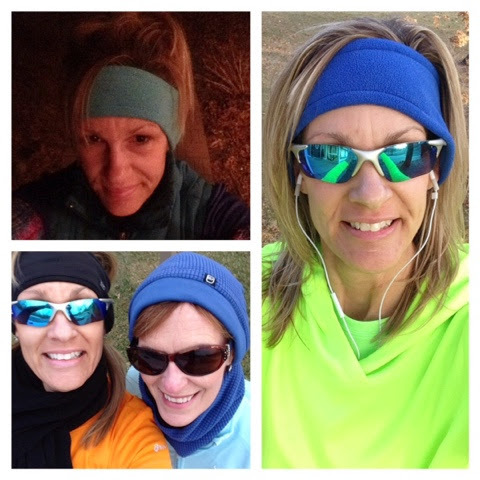 I blog about my experience(s) as a runner. A huge part of my life, though, is my family. 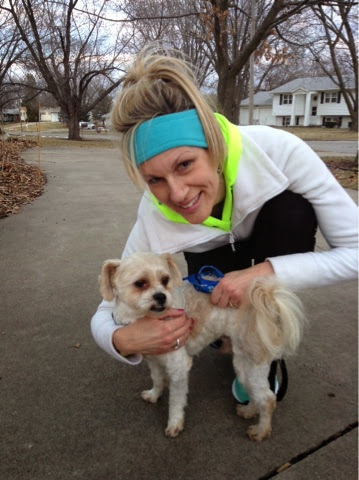 Without their constant support and encouragement, my running would take a nose-dive. Our family experienced a pretty substantial life-changing event this past weekend.....we became dog owners! Having never had a canine in my household (as a child nor as an adult), this is pretty major for me and very exciting for the family. I have numerous allergies (believe it or not, I tested positive for 30 of 33 allergens at my most recent allergy screening), and my sense of smell is bionic. Those were my trump cards in avoiding the pet dog "band wagon." I argued (with the husband's support) that just because most everyone we knew had a dog didn't mean that we needed to have one as well. In recent months, though, our three kids finally succeeded in wearing us down. They all have allergies, too, though not as severe as their dear (old) mom. They took it upon themselves to research the possibilities of finding breeds of dogs that are low dander/non-shedding, many of which are claimed to be hypo-allergenic. 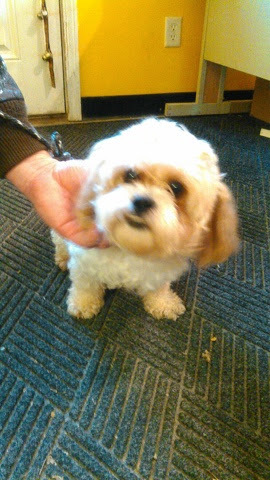 Some of the breeds we researched were Shih Tzu, Maltese, and Bichon Frise (and mixes of these breeds). My next argument was that if any dog were to enter the household, I'd want it to be a rescue dog. I have nothing against dog owners who seek out a breeder. I just felt in my heart that we needed to find a dog who was already in need of a home rather than adding another to the ever-increasing pet population.Well, they took that "trump card" and and practically played it against me. They took turns monitoring the local shelter, awaiting the arrival of any dogs that would fit the ideal breed for us. Finally, the day arrived. The local shelter had a dog that could be a possibility for us to consider. 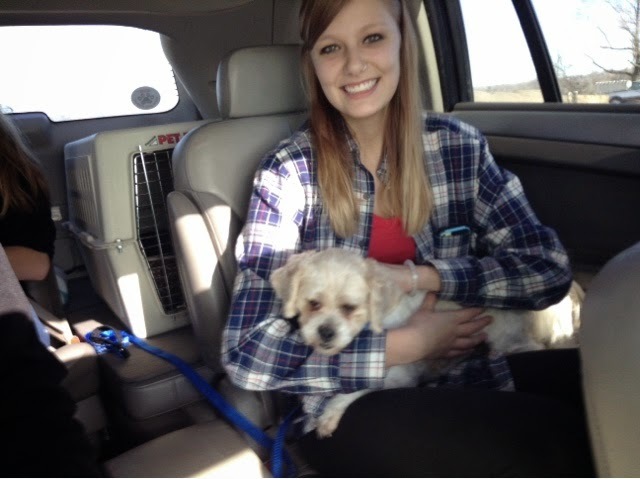 He was a Shih-Tzu mix, approximately five years old and (drum roll....) house-broken. We paid him a visit, and fell (almost) instantly in love. He was very mild-mannered, and friendly. They recommended him as a great pet for "first-timers" (like us) because he was past the puppy stage and wouldn't require much work in terms of house-breaking (though potty accidents are always a possibility). We filled out the paper work, and arranged for a second meet-up. Since our local shelter is small, most of the smaller dogs (like this one) are fostered, they live in temporary "foster"homes with foster parents until a family adopts them. This was the case with the dog we were hoping to have. This also was right before the Christmas holidays, and the dog's foster parent was a college student who would be leaving town for several weeks during the winter break. Arrangements had already been made for the student to take the dog with her, to ensure the dog would remain under her care. 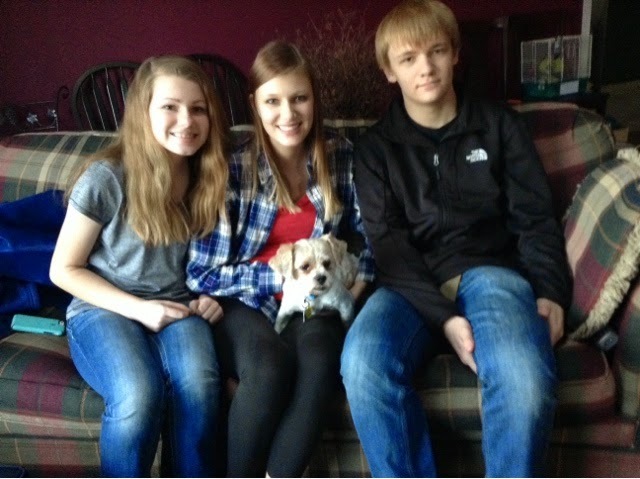 Well, to make a long (and somewhat painful) story short, the student's family fell in love with the dog. Since the student had been fostering the dog for a month prior, she had first dibs on adoption (which I agree with), but we had not been told that upfront (which was disappointing). When we received word that the dog would not be returning to town, it felt like the rug had been yanked out from under us. The kids were devastated, and it made me realize just how much I really wanted a dog after all. Believe it or not, it felt like we'd lost a pet. There was a lot of grieving and numbness. Even though this dog had never entered our house, we'd already accepted it as a member of the family. So, onward. We continued our search for another dog, hoping to find one in a surrounding town. On a whim, I sought out a shelter in a nearby town (45 miles away). As luck would have it, they had a couple pictures of Shih-Tzu mix dogs on their website. This was on a Friday night, and our son had a swim meet (in a town not too far from there) the next morning. A phone call confirmed the two dogs were still available, so we arranged to stop by the shelter on our way home from the swim meet. When we met Max, he instantly felt like "our" dog. He was friendly with a very sweet disposition. 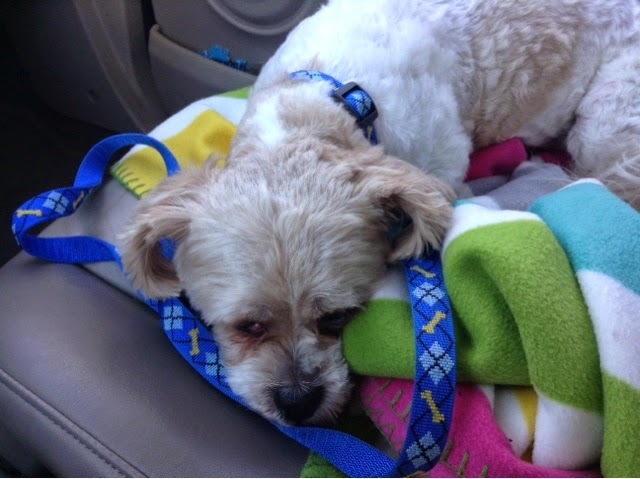 He had been surrendered by an elderly owner who was no longer able to care for him. We were told the owner was very concerned about Max's well-being, and wanted to make sure his new owners would take good care of him. The shelter volunteers were knowledgeable and accommodating, allowing us the opportunity to put a "reserve" on Max for the following weekend (since we didn't live in the city limits). It was just my husband and myself, so we sent pictures of Max to the kids....who instantly gave us their approval. They told us Max was already scheduled for a grooming appointment later in the week, and they could arrange to have his "surgery" on the same day (it's a state law that all dogs must be neutered or spayed prior to being released from a shelter). We filled out the paperwork, said our see-ya-soon's and we were on our way. That was over a week ago. 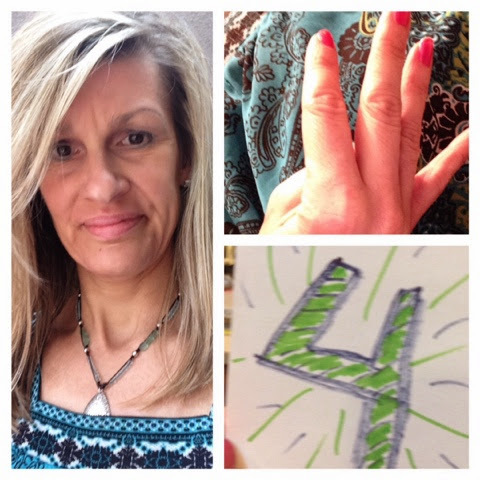 The following week was filled with nervous trepidation, and anxiety. Having had one failed adoption, it was really difficult to allow ourselves the luxury of thoroughly enjoying the excitement of adding Max to our family. Once bitten, twice shy.....so to speak (how's that for dog-talk?). I emailed the shelter mid-week, to confirm everything was on track for the adoption. They responded quickly, and reassured me Max would be ready on Saturday and they were so excited for him to have a new home. Not sure how he would do in a new (and strange) home, we borrowed a kennel from a friend to have on standby...and bought a new collar (with a matching leash). And a few toys. And treats. Our oldest daughter is away at college (an hour away), but eagerly came home for the weekend. I had a race on Saturday morning, and upon returning home found everyone waiting for me to jump in the car so we could make the drive to the shelter.I think all of us were excited, and a bit nervous, hoping this adoption would go through without any hangups, and that Max would be riding home with us. When they brought Max out to greet us, I didn't recognize him. 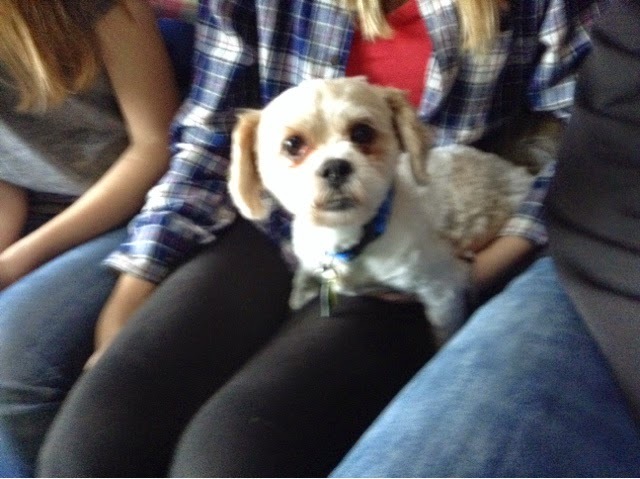 His hair was so much shorter! He was so excited, though. He was jumping up and down, melting our hearts in those first few moments. We signed the final papers, got a goody bag (with information from the vet who had taken care of him), and snapped on his new collar and leash. We'd brought along the kennel, but the kids took turns holding him on the car ride home .I took my turn holding him, too. I have a feeling this is the beginning of a great adventure. Have you had a similar experience in seeking out a pet adoption? Did allergies play a part in your decision to adopt (or not to)? I have had some issues with shoes in recent months. Actually, I have had some issues with (running-related) aches and pains, and I believe my shoes have been a factor. Last summer, I started noticing some tightness and strain in the buttocks region. I never quite surmised if it was the upper hamstrings or lower glutes. I just knew it hurt after almost every run, no matter the distance. 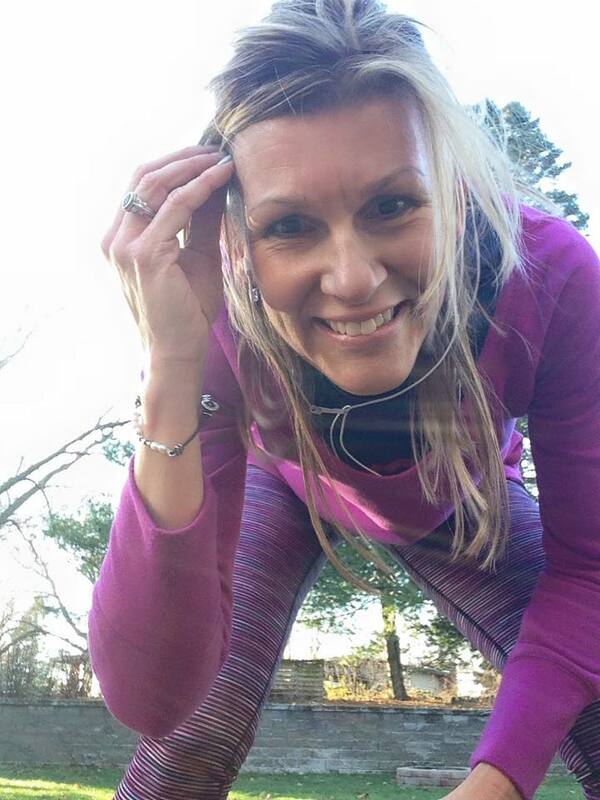 I was being a diligent marathoner-in-training....foam rolling (frequently), speed work, cross-training and respecting my rest/recovery days. I even had a handful of PR's and some fast (for me) finish times. But my tush was in constant turmoil. Fast forward to now...and these problems are still persisting. I have scaled back my mileage for the "off-season," running only 3-4 times per week, and going no farther than 5-6 miles on my long runs. I am cross-training like a badass. And I am foam-rolling and stretching (probably still not as much as I should, but I am doing it more than ever before). So, what gives? I've been trying to transition to neutral shoes (Saucony Triumph 11's), per the advice and counsel from a gait analysis in September. The new shoes stayed in their box until after my marathon (IMT Des Moines Marathon, October 19, 2014), but I have worn them for most of my running since then....and I am still not in love with them. My gut has been telling me that maybe the neutral shoes really weren't the answer....maybe my stability shoes (Mizuno Wave Inspire 8's) were simply past their prime. Even though I had rotated other shoes with them (and they still felt great! ), they had seen me through two marathons, several half marathons (10? ), and hundreds of miles in between. 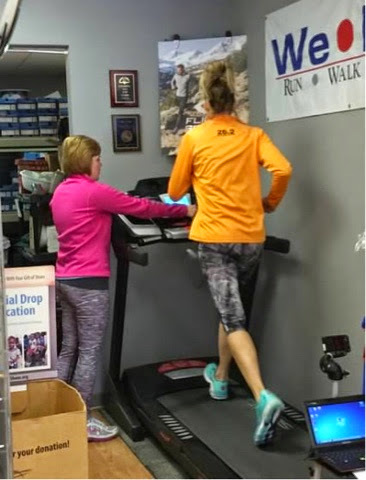 Eager for another opinion, I headed to a new (to me) specialty running store, We Run (http://www.werunllc.com/). Any runner in the central/eastern part of Iowa should make the trek to North Liberty and check out this place. 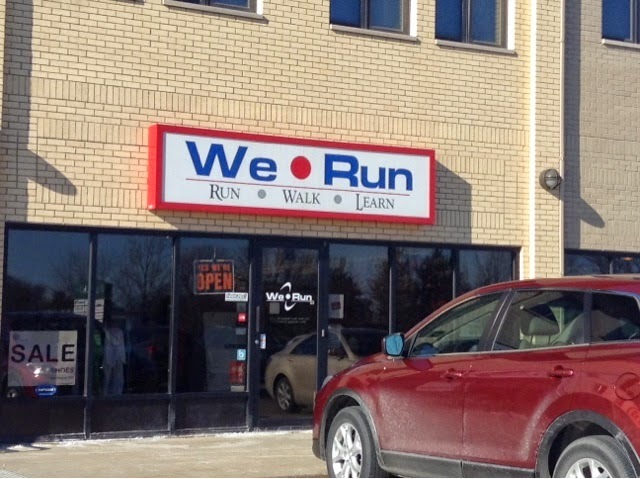 I met with the owner, Kris Tharp, on Sunday morning, following a We Run-sponsored group run. And, boy-oh-boy did she take care of me! 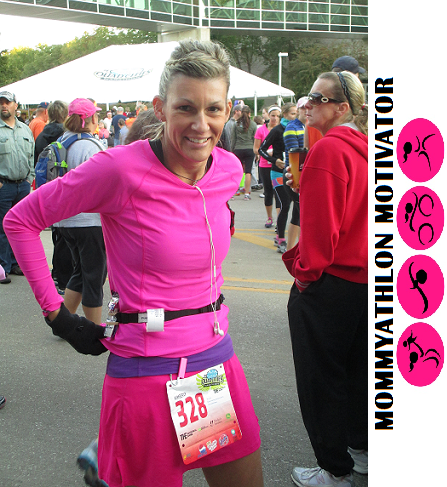 Kris asked me about my running...frequency, distance, races, aches and pains, etc. I showed her some of my shoes (Mizunos Wave Inspire 8's and Nike Structure 17's) and she immediately asked if my piriformis problems were on my left side, because the left outer sole was worn much more severely than the right shoe. Apparently, I have been shuffling my left foot more due to my limited range of motion. Huh (and I thought it was just my natural klutziness). She sized my feet, and noticed how my size actually shifted slightly depending on how "tall" I was standing. I also showed Kris the Sauconys, the shoes that do not seem to like me any more than I do them. She asked me if I wear them with orthotics....and I replied, "No." She said I have a very narrow heel, and wondered if the Sauconys were giving me enough support. 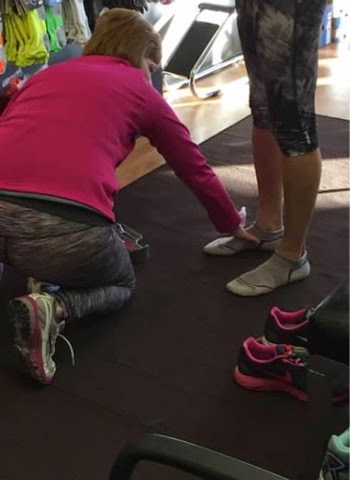 She talked briefly (without getting too technical) about the shoe drop (the difference between the drop of the toe vs. heel). The lower the drop (8MM-4MM), the more neutral the shoe. She asked if I noticed a lot of strain in my glutes when I ran in the Sauconys (Holy YES!). They have an 8MM drop, so my foot actually is fairly "flat" (or neutral, if we're talking shoe talk)...similar to being barefoot. Then she had me walk in my stocking feet....and said she could easily see my feet over-pronating.This is all stuff I knew, but having her explain it in such simple words really made it easier to understand. Based on my blatant pronating, Kris recommended a stability shoe. There was a selection of Mizunos, so we started with those. She had me try the Wave Inspire 11's, and I was instantly in love with them. They were the most recent model of my "tried and trues." 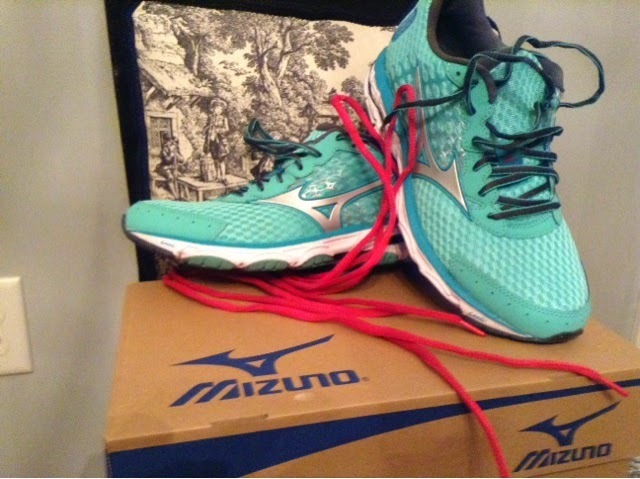 Next, we tried another Mizuno (I think it was the Wave Paradox). Kris called this a support shoe (different from a stability shoe). That one felt great, also. Next, I took them for a quick spin on the treadmill. The Paradoxes weren't as easy to run in as the Wave Inspires were. Kris told me to try to run tall, like someone was pulling me up by my pony tail, and to run as "quietly" as possible. Again, the Wave Inspires felt better, and the Paradoxes felt heavy, and didn't feel as flexible. She told me I was making more noise with the Paradoxes, too. Kris brought out a pair of Brooks to try. I can't remember what model they were. They felt good, but I still preferred the Mizunos. So, the Wave Inspire 11's were the ones that went home with me. 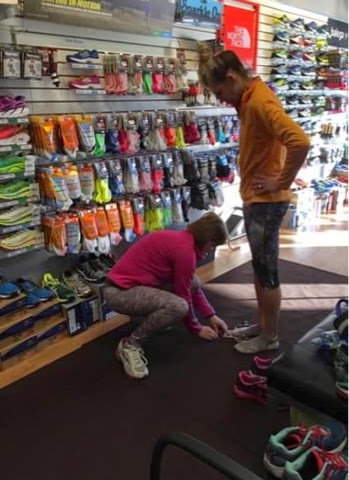 Have you ever been professionally fitted for running shoes? It's really worth the extra time! Whether you're just beginning to run or are a seasoned marathoner, getting fitted is important. 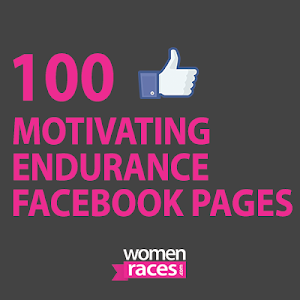 In recent years, as I have upped my mileage (and my distance races), my needs have changed. I seem to need more arch support (not just in running shoes, but in "street" shoes as well). Also, be cautious in buying shoes online. Even the exact same name brand and model may vary, depending on which warehouse they come from. Two "identical" shoes of the same size may not give you an identical fit. Kris reminded me that most running shoes are good for anywhere between 400-600 miles, but that will also vary amongst runners. I keep a log of all my miles, but not for each shoe (I rotate old shoes with my newer shoes, and use the older ones for short runs occasionally). How often do you get fitted? Do wear the same shoes for every kind of training run? And, most importantly, do you know when it's time to put them to rest and replace them (I need work on this one)? Well, it's over and done. 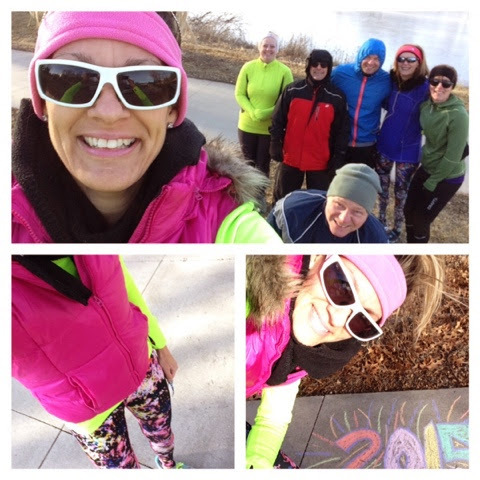 My New Years Day 5K with friends was my finale of the Runners World Streak-36 Days of Awesome. I'm glad I finished all 36 days of streaking, but I am even more glad to be back to what I call "normal." My streak began on Thanksgiving Day with our 3rd annual (local) Turkey Trot. 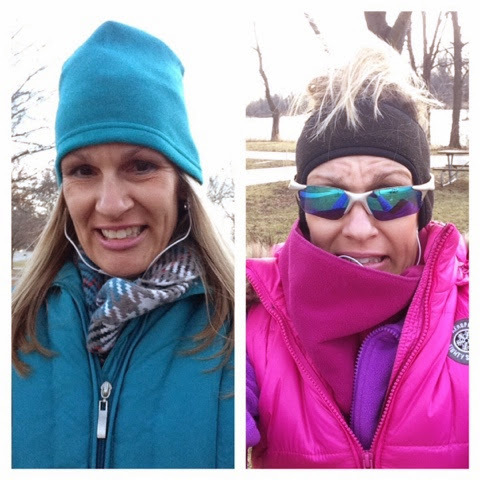 The temps were especially cold, single digits with the Iowa wind! Day-2 had better temps (and I got to wear some of my Black Friday fashion finds). On Day-3, the husband and I did a couple miles around the lake. The following day, the temps plummeted, and the good 'ole wind returned with a vengeance. Day-5 was sunny and cold. On Day-6, I did a couple miles after work. Day-7 was shared with several geese flyovers at the lake (thankfully, nothing landed on me...if you know what I mean). I did a couple of miles under the street lights for Day-8. On Day-9, I was up and running early...back to the house before 5:30AM. Day-10 was full of sunshine. 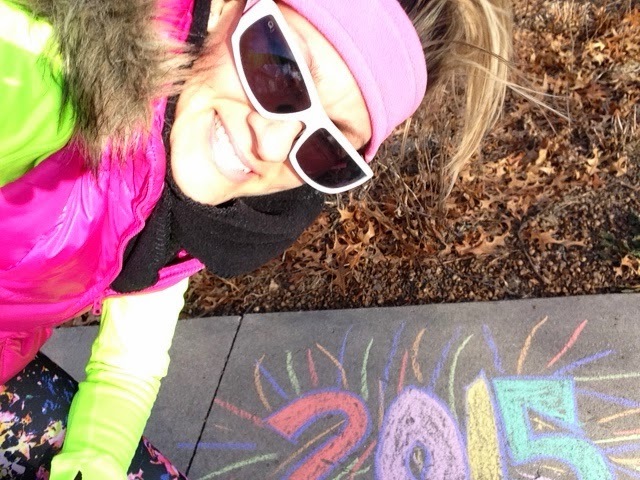 My friend, Barb, joined me for five chatter-filled miles on the trail for Day-11 of streaking. I was happy to do a quick mile after work on Day-12. My thirteenth streaking day had me back at my favorite trail, looping around the lake. I had another early morning run on Day-14. 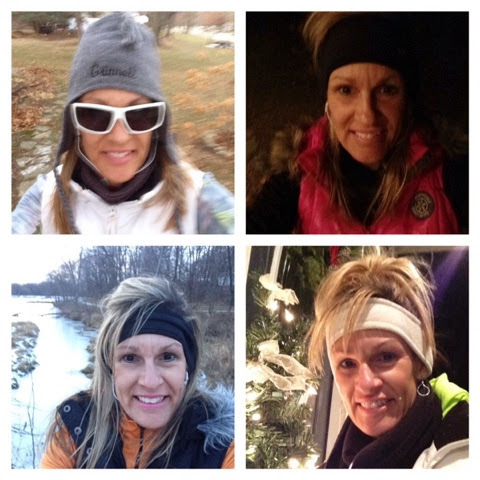 I ran a couple very chilly miles on Day-15 of streaking. The next day was damp and foggy. 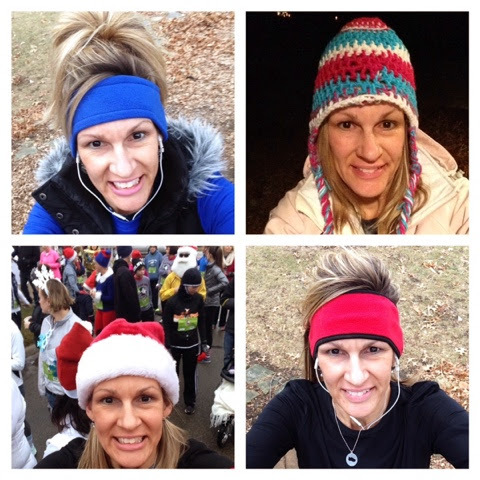 On Day-17, I ran in the Santa Shuffle 5K. The following day, we had temps in the 50's...unheard of in Iowa! Day-19...and we have not snow in Iowa, but rain! Streaking Day-20....a beautiful run in the evening. Another run at the lake for Day-21. 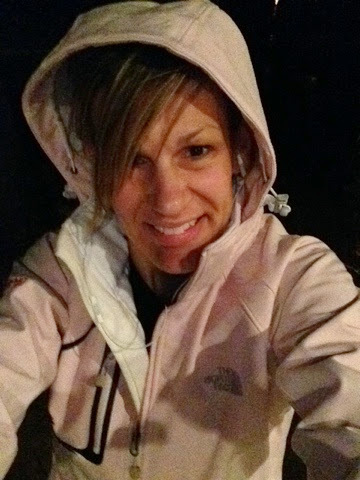 More running in the wee hours before work for the twenty second day of continuous running. Day-23 of streaking had me in the company of friends, running in our ugly sweaters and admiring all the beautiful Christmas lights throughout town. 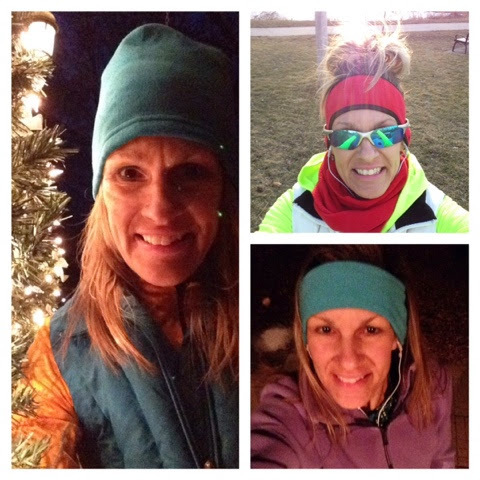 A quick mile after returning from a fun-filled day at a family Christmas gathering for Day-24. Another cold and damp run for Day-25. Streaking Day-26..can you see the wet pavement? Streaking Day-27...looking skyward, trying to remember what the sun used to look like. 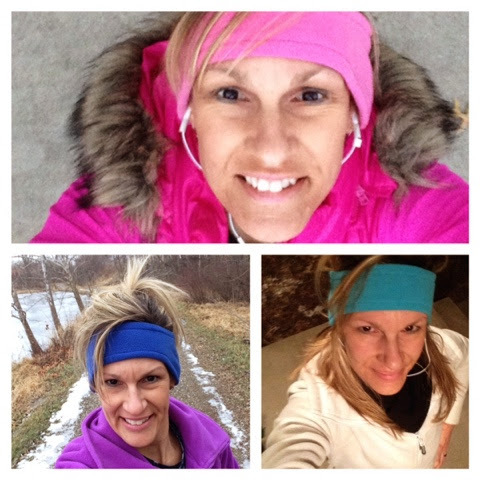 Streaking Day-28, another cold and damp run....after receiving the news about my father-in-law's passing. Christmas Day, Day-29 of streaking. 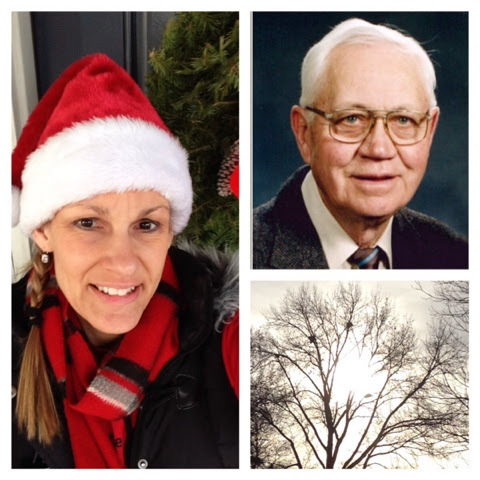 We lost my dear father-in-law the day prior, so this run was in honor of him. It also was the first day we were blessed with sunshine in quite a long time...I don't think it was a coincidence. 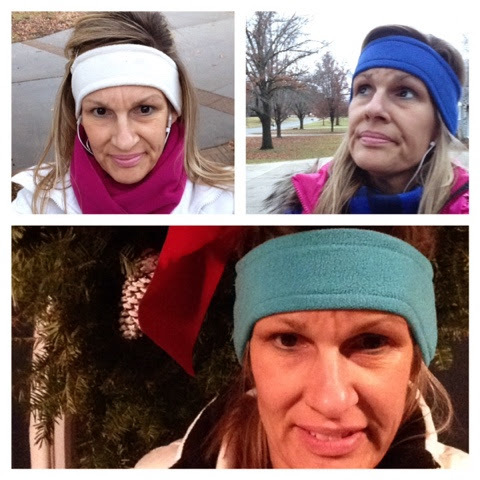 Day 30, another early morning run, but in moderate temps. Day 31, a very late evening run after returning from a long day spent with extended family, saying farewell to my father-in-law. Day 32....a few wonderful miles around the lake with plenty of glorious sunshine. Despite bitterly cold temps, there was sunshine for Days 33 and 34. Woot Woot! 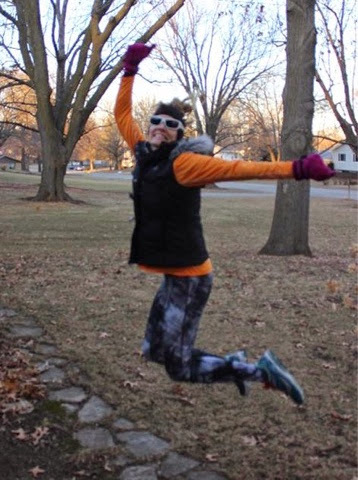 Doing a victory leap on Day-35! The final day of the Streak arrived! Very cold temps, but lots of beautiful sunshine...truly there is no better way to celebrate the New Year than in the company of friends! So, the Streak has ended. Any regrets? Well, I should have used this time to better focus on stretching and foam-rolling. I finished the entire streak with a total of 58 miles. As mentioned in prior posts, I am working through a not-so-smooth transition to neutral shoes. 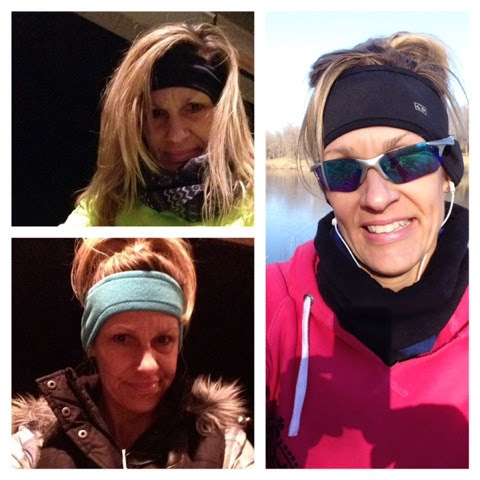 I was really hoping the minimal mileage and lack of long runs would be key in helping this transition process...and my strategy did not appear to work. My aches and pains did not get worse (thankfully), but they have not gone away and still are a small (though manageable) burden. I am not a selfie-enthusiast, but I managed to snap a selfie every time I streaked. I'm glad that's over as well. It was fun coordinating 36 different and (usually) colorful outfits,though. 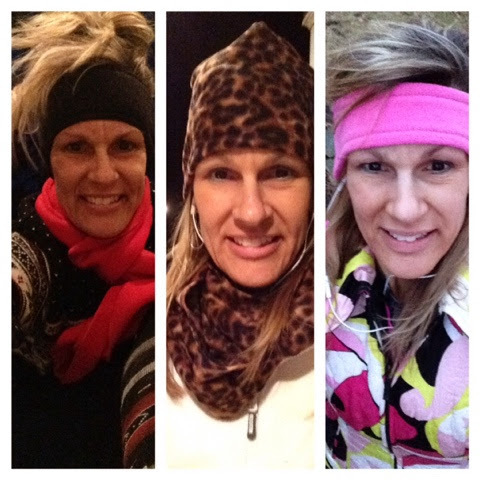 I was very fortunate to have great weather for most of the 36 days of streaking. We have had very minimal snow this winter season in Iowa. 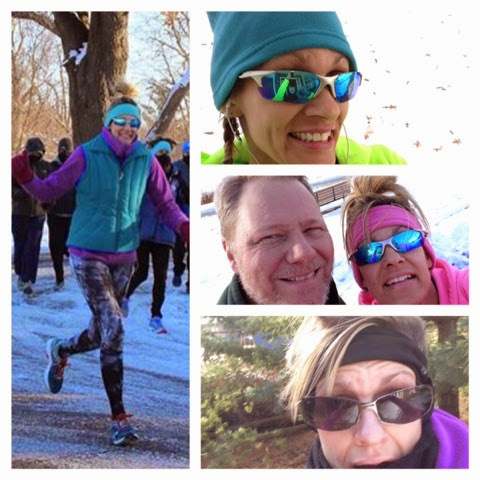 There have been some cold days with temps in the single digits, and there has been some frigid wind to battle...but I was able to do every streak run outside. Will I do another run streak? Most definitely. 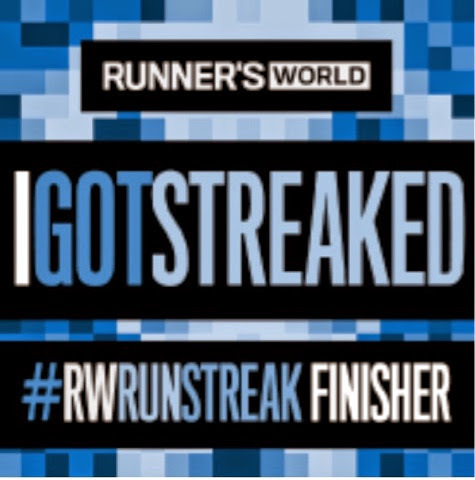 Even though I do not particularly enjoy streaking (and know it's not something I should do regularly), it is a fun challenge to do occasionally. It gets me out of my comfort zone, and that's always a good thing.